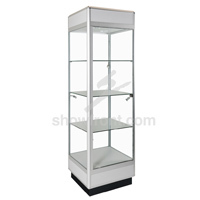 Buy a Jewellery Display Cabinet, Counter or Showcase online now at unbeatable prices! Ready-made or custom built. Delivery Australia-wide. 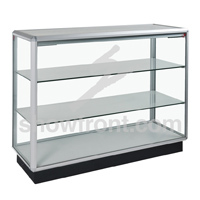 Premium Jewellery Display Cabinets & Counters at unbeatable prices! Custom-built or Ready-Made to Buy online! 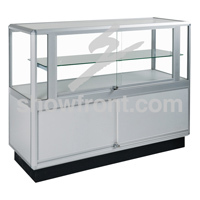 Buy ready-made Jewellery Display Cabinets online now or call Showfront to ask about tailoring a Custom Jewellery Display Cabinet just for you. Built onsite at the Showfront HQ in Melbourne, our custom-built Jewellery Showcases are simply stunning on the retail floor. 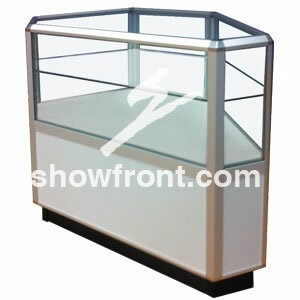 Showfront’s range of Custom- and Ready-made Jewellery Display Cases are both stylish and functional with many top of the range features unique to the Showfront brand including adjustable shelves for products of differing sizes, security locks, downlights, spotlights and safety glass. You may want just small adjustments to suit your specific needs or you may be working with a tight space and have restricted access. Alternatively, you may just want something completely different to create a stunning retail display with your Jewellery Showcase. 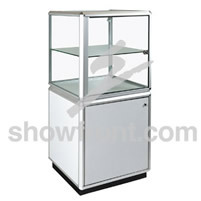 We believe our Display Cabinets for Jewellery offer unbeatable value for retailers. 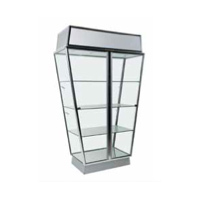 If you can find a written quote for a Fully Assembled Jewellery Display Cabinet of comparable quality (custom built or ready-made) with the same oustanding features, we GUARANTEE you we'll beat it by 10%! 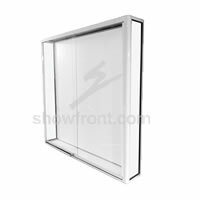 Better quality, better value - choose Showfront. 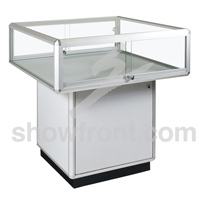 Your merchandise will be the height of elegance with Showfront’s range of Glass Display Cabinets. 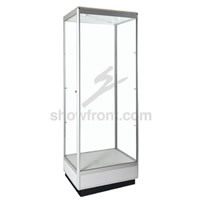 Perfect as a Jewellery Display Cabinet, or for giftware and glassware, Showfront's stunning range of Upright Showcases are the essential choice for retailers. 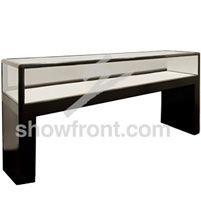 All Showfront Showcases come fully assembled and delivered Australia-wide. 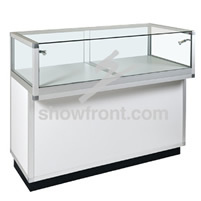 Compare the difference in price and quality - visit a Showfront showroom in Sydney, Melbourne or Brisbane. 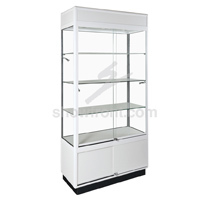 Buy your shop fittings direct from Australia’s leading Jewellery Display Cabinet manufacturer today.